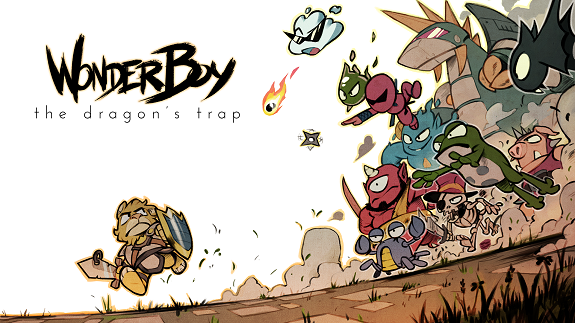 On this page, you will find everything there is to know about Software updates for Wonder Boy: The Dragon’s Trap on Nintendo Switch (originally released on April 18th worldwide). How to download Software updates for Wonder Boy: The Dragon’s Trap on the Nintendo Switch? Additional notes: you can find the complete list of games compatible with the Video Capture feature in this post! Gameplay: Tweaked and rebalanced Hard mode. At launch the hard mode was weirdly balanced and the hourglass didn’t make a lot of sense in later sections of the game. The hourglass damage now scales according to your health. We have also slowed it down, and we made various changes to the enemy drops and yellow enemies, it should now be fairer but generally probably more interesting and hard! Gameplay: Fixed Tasmanian Sword transform from not updating previous AP/DP stats until an item was re-equipped. This was definitively a glitch! Gameplay: Fixed a very rare possibility for the player to be stuck (when transforming to Lizard-Man or Mouse-Man for the first time in the Canyon transform room, and exiting the game before taking the Thunder Ring). Fortunately very few players actually encountered this issue. We now detect this situation on game load and revert the player back to Piranha-Man when that happens. Gameplay: Disabled ability to perform a normal-height jump on a bounce pad by pressing Jump exactly at the same frame as landing (it was particularly misleading in the Lizard-Man Unkwown section). Retro: Improved Retro Monitor effect, in particular when screen resolution is not exactly 1920×1080 due to scaling. We also made the effect more consistent accross all platforms. Note that due to the nature of that filter it may exhibit odd patterns if your console or TV are scaling the display. Retro: Added retro-mode Japanese text in Intro, Opening and Ending (based on the original Japanese Game Gear text). Audio: Better overall audio balance for retro PSG/FM sfx and music. Lowered retro sfx volumes relative to respective retro music volumes. Upped retro music volumes by 10% to match modern music volumes. Gameplay: Absolutely did not add a secret Extreme mode (which is totally not accessible by holding a certain Inventory button somewhere for a certain unknown amount of time). DON’T TRY THIS AT HOME, KIDS. Credits: Displaying game version number. Gameplay: Tweaked Dragon Vampire difficulty (normal/hard). Gameplay: Tweaked Yellow Ninja attack points (a little less). Gameplay: Tweaked Yellow Shadow attack points in Hard mode (a little less). Gameplay: Hard mode balancing: Timer turns every 30 seconds (instead of 25). 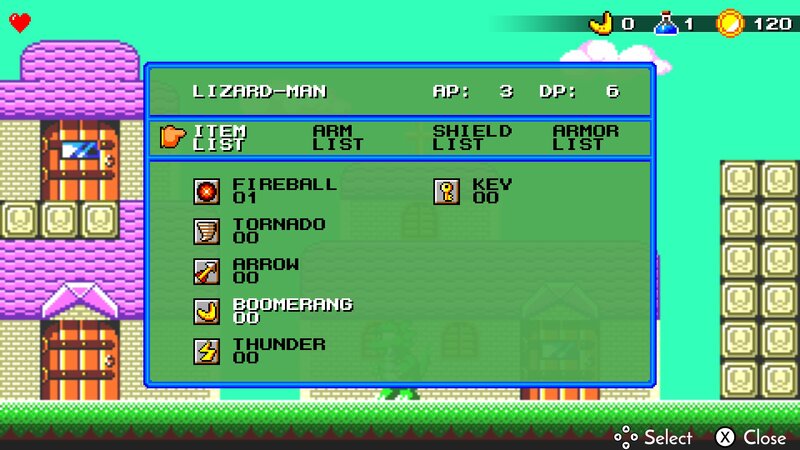 Gameplay: Hard mode balancing: Timer resets when entering Dragon Room. Gameplay: Hard mode balancing: Timer removes health proportionally to current health amount (typically remove MORE in later stages of the game). Gameplay: Hard mode balancing: Various minor tweaks in Sky Palace (e.g. removed 1 yellow ninja, added more small hearts in Hard mode). Gameplay: Hard mode balancing: Various minor tweaks in Daimyo Temple (e.g. removed 1 yellow ninja). Gameplay: Fixed a possibility for the player to get kicked out of the level in the Final Palace if using the Tasmanian Sword to transform twice in a row exactly when entering the 9th section of the level. Trophies: Don’t grant “Hard-Earned” achievement on Hard Clear if the slot was started from a Password. UI: Fixed the Door and Mouse Rotate popup timers from triggering when Pause is active. UI: Added Sky Palace title banner. UI: Save slot: Fixed Ending Credits play time being rightfully included in the saveslot timer when returning to title screen, but not actually saved to disk, so quitting immediately when returning to title screen after credits sequence would remove a few minutes on the displayed timer. UI: Fixed white shade on Girl character mismatching with other characters. UI: Inverting display over of Attack and Jump in castle_1 to have them in same order layout as typical game controller. UI: Improved scaled font quality in Introduction and Opening screens. [Switch] UI: Fixed fringe in some UI component in 720p. [PS4] Gallery: Fixed Gallery failing to open after being opened many times in a row. Audio: Fixed playing the “Landing” sound effect when appearing in the first scene (The Last Dungeon) after the Intro. Retro: Made the Hourglass rotation not painfully slow. Localization: English: Fixed Goblin Mail shopkeeper description to be rightfully less offensive. Localization: English: Changed “Help” to “How to play” in Options menu. Localization: Japanese: Changed font to NotoSansCJK (the previous font was a mod based on early version of NotoSansCJK). Graphics: Added floor reflection in the magical room prior to accessing the Sky Palace. Graphics: Fixed the boss intro banner displaying very subtly over the Captain and Mummy dragon rooms. Graphics: Fixed a case where clouds on the left side of the pyramid appeared cut. Graphics: Fixed a harsh water layer transition below the Village. Graphics: Fixed some bounce pad from displaying a black dot in their corners after bouncing. Graphics: Fixed missing wobbly lava bits in some Underground sections.